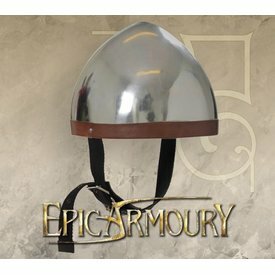 A handy medieval basic helmet, suitable for archers or for occasional use. The helmet is made after the well-known Norman nasal helmets. 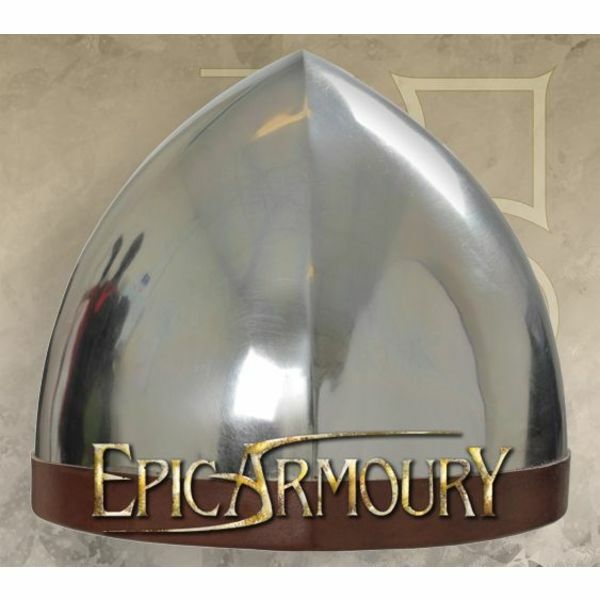 They were very popular between the 9th and 14th century and they were worn all over Europe. They are depicted on i.a. the Bayeux Tapestry. 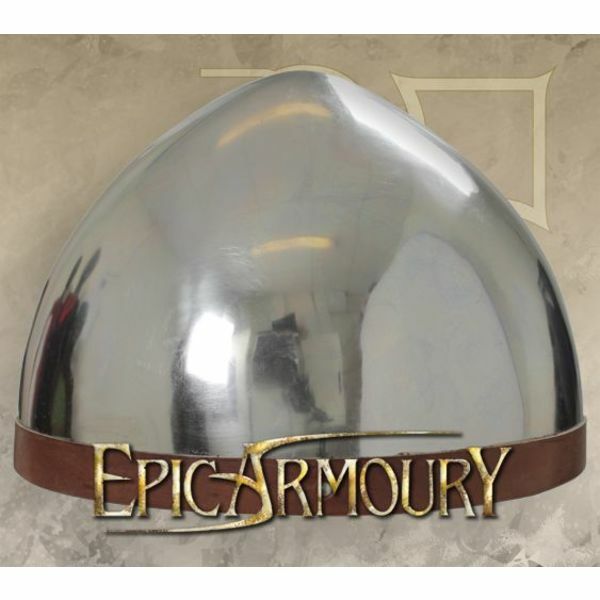 This helmet has a steel thickness of 1,0 mm and is suitable for a head circumference up to 59 cm. Its height is 21 cm and its width is 18,5 cm from ear to ear. It weighs approx. 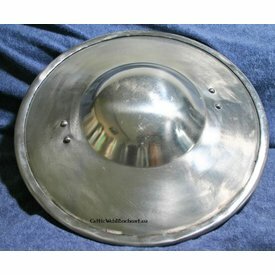 1,3 kg.